According to property website Zoopla, on average, Britons move home every 23 years. This creates a diverting image of millions of us upping sticks and all swapping houses every two decades or so. It also means that the above average among us has moved far more frequently than that and, at the other end of the game, some manage to stay rooted all their lives. The Wyvills of Constable Burton, on the edge of the Yorkshire Dales, haven’t experienced the arrival of a fume-belching pantechnicon with its cheery crew for about four and a half centuries. Apparently, the family has even been in the same county since the 12th century, their distant ancestor, Sir Humphrey de Wyvill, having arrived on these shores with William the Conqueror. Before the Conquest, the manor of Bortone (denoting some sort of fortified farm) was owned by Tor. 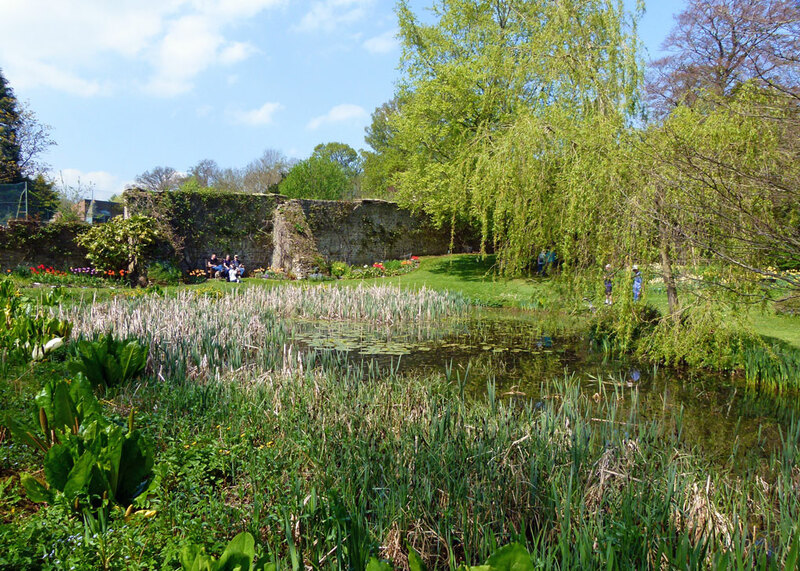 It was given to Count Alan of Brittany, the builder of Richmond Castle and, sometime in the 12th century, passed to Roald de Richmond, constable of Richmond Castle and founder of Easby Abbey. Hence, Bortone became known as Constable Burton; this, naturally, avoids confusion with Burton Constable some miles to the east – which, apparently, is named for the de Constable family. Neither Burton is anything to do with policemen. The Wyvill family gained Constable Burton through marriage sometime in the early 16th century. 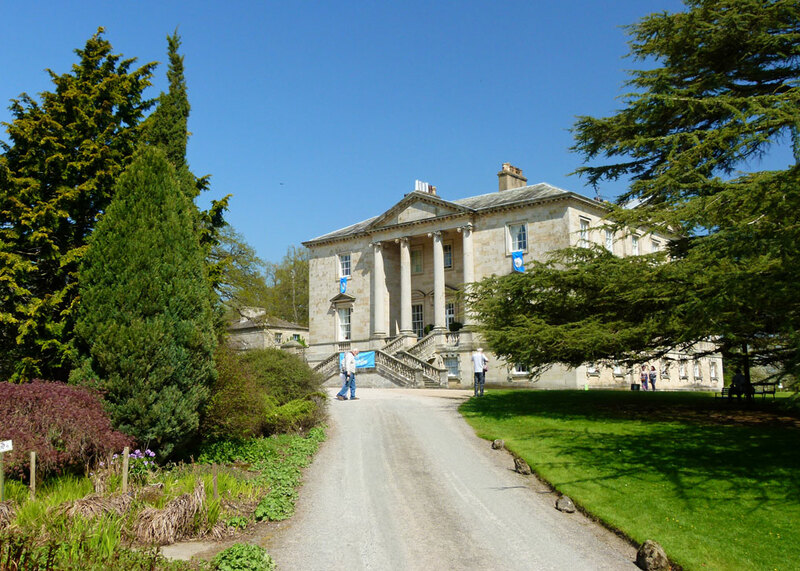 Sir Marmaduke Wyvill was MP for Ripon and his grandson, another Marmaduke, was knighted by Queen Elizabeth; indeed, it is said that he entertained her at Constable Burton Hall, though I do not believe she made it as far north as Yorkshire. In 1584, Sir Marmaduke became the very first MP for Richmond – and the first of several Wyvills to represent the town. Constable Burton Hall at that time seems to have been a turreted building, possibly a descendant of the 14th century crenellated fortalice, but was replaced by the current hall, an elegant Georgian pile, built for another Sir Marmaduke Wyvill in 1768 by the architect John Carr. 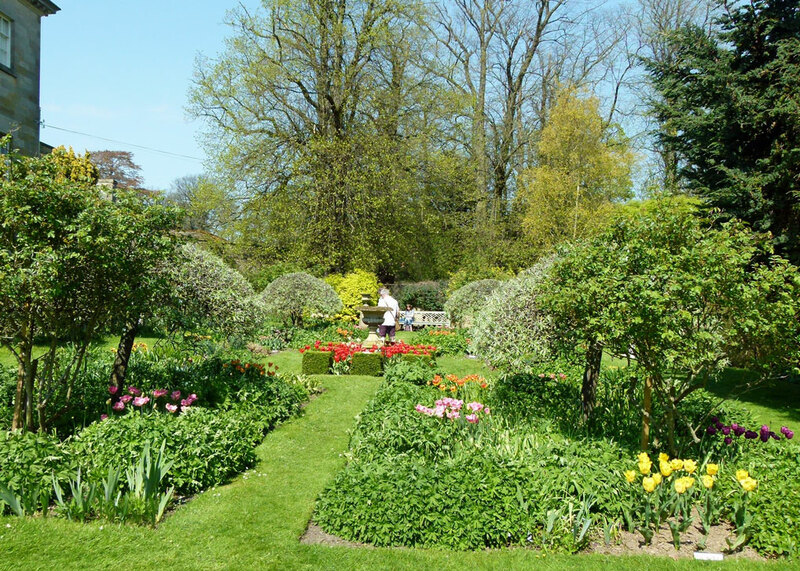 Anyway, the point I’m taking so long to get to is that the Wyvills have had plenty of time to sort out the garden, which they open to the public whilst maintaining their privacy in the house. 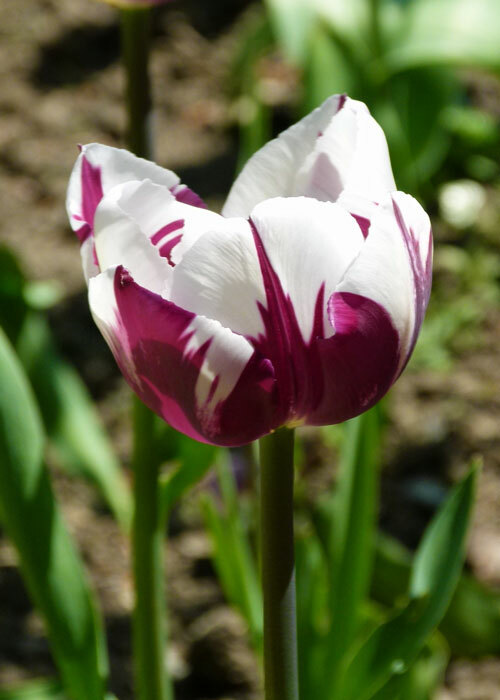 Every early May Bank Holiday, Constable Burton Hall hosts a tulip festival, showcasing the products of Bloms Bulbs. Our local gardeners, the Pals with Trowels, organised a trip and, provided I promised to stay out of trouble and do what Mrs Britain told me to, I was allowed to tag along. 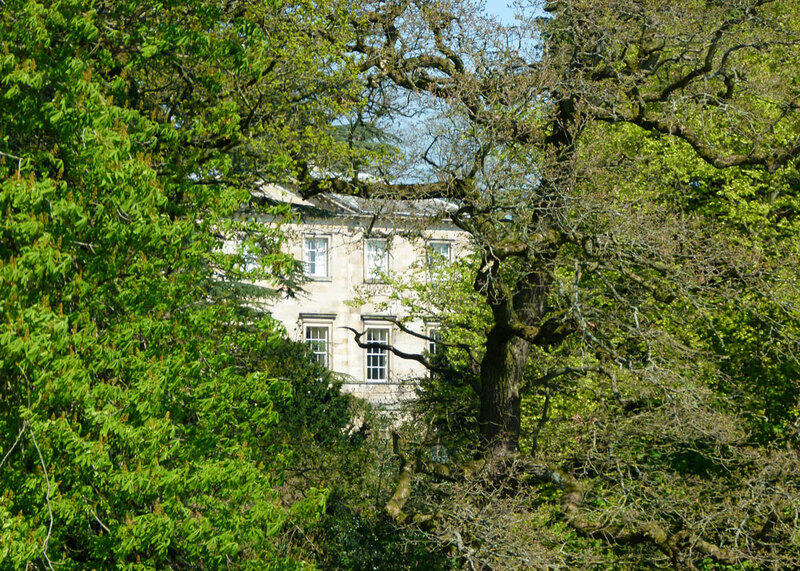 Cars are directed to park in a field and, after a short walk, the house and garden gradually reveal themselves through the trees. A brief, charming, introduction by Charles Wyvill – and we’re off. It wasn’t all tulips, of course, though they were stunning and, as a total novice, I had no idea there were so many varieties. Did you know they were originally cultivated in the Ottoman Empire? Well, you do now. 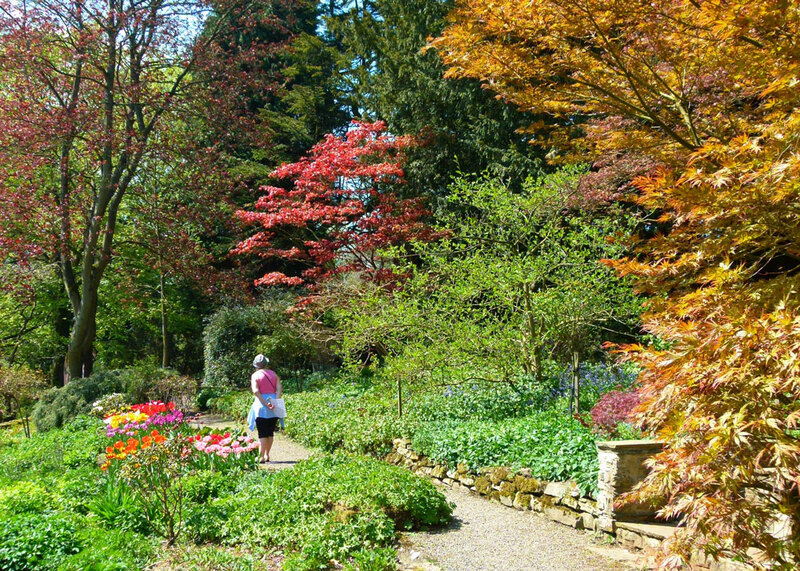 Constable Burton’s gardens are mostly informal, but diverse in theme, and strolling round them was an effortless and relaxing way of spending a few hours. I’ll let the photographs do the talking; as usual, captions should appear if you hover your cursor over the images. 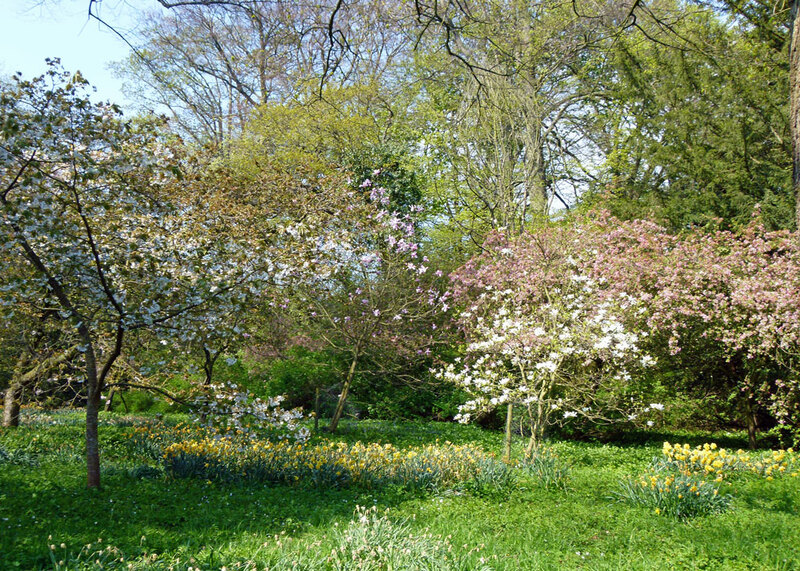 My personal favourites, though, were the acers, the cedars of Lebanon and the daffodil field which, though well past its prime on the bulb front when we visited, is planted with beautiful trees, including some rather lovely magnolias, and bisected by an elegant avenue of limes, believed to be 350 years old. 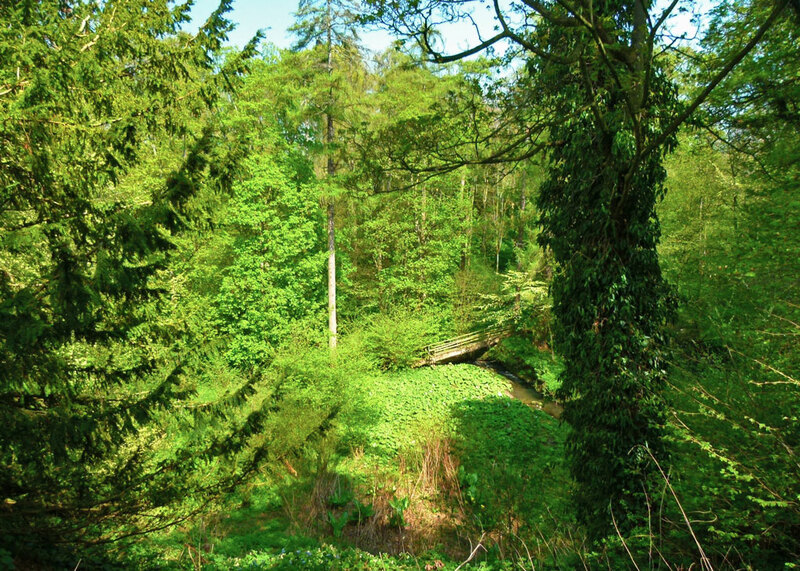 There’s a wonderful, uncommercial, informal, atmosphere at Constable Burton. It joyfully lacks the corporate feel of so many large garden attractions, to the extent that you could almost pretend you were visiting friends. Teas and buns, at least at tulip festival time, are served by amiable, and sometimes delightfully confused, ladies from a large tent. I liked it very much indeed, even if my tea was so weak it could barely make it out of the cup and the scone was masquerading as a rock cake. There was a gin stall, too, for the very desperate. 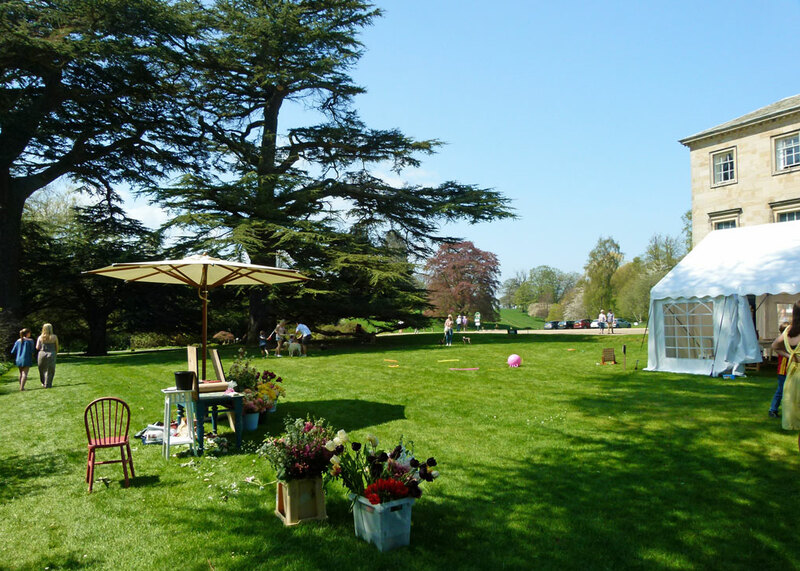 Naturally, Bloms wanted to show off their products, and a separate tent housed an impressive, colourful, display of cut tulips. However, I found this made me feel weirdly guilty, and inexplicably sad, to be gazing at so many things of beauty whose lives had been curtailed merely for our pleasure. I hadn’t even had any gin. Details of opening hours and events from Constable Burton’s website. Tiny Tim! Well there’s an earworm I never thought I would have to experience again…and nothing could induce me to click the link 😉 But did you ever hear his “There’ll Always Be An England” sung through a megaphone to sound like an old recording? Must be online somewhere. Not bad. What a perfect day you had. Thanks very much for sharing all the lovely snaps. I planted a little packet of tulip bulbs last Autumn and was thrilled to have about 8 struggling little blossoms this Spring. Those flowers were photographed, drawn, and painted til the last petal fell. I didn’t fully experience ‘Tiptoe through the tulips’ at the time, for which I will be forever grateful. Had I heard his version of ‘There’ll always be an England’ would have scarred me for life. You’re right – it is out there, but I urge you not to find it. I think some of us under-rate tulips. 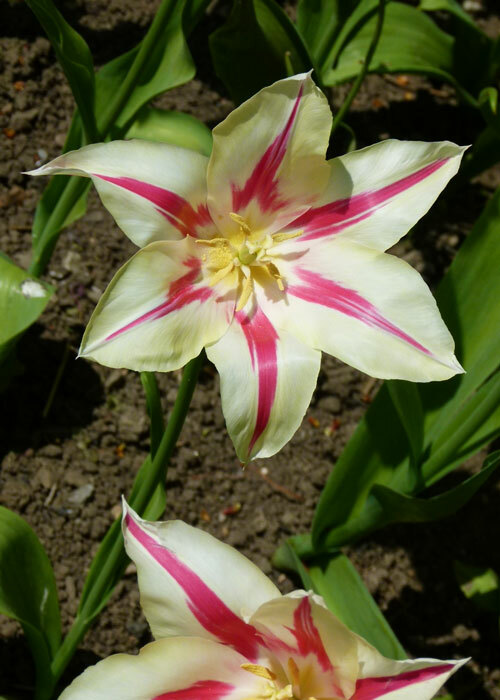 I have fairly recently decided that tulips are very beautiful. In my youth, all tulips were scarlet with a yellow centre and stood in regimented rows in people’s front gardens. I thought them boring. I would love to visit Constable Burton in tulip time! I don’t like cut flowers, I much prefer to see them still growing outside in the fresh air. I had a chuckle when I read your description of a removal van and its operatives. We moved twice in 18 months and I wouldn’t wish that on anyone! 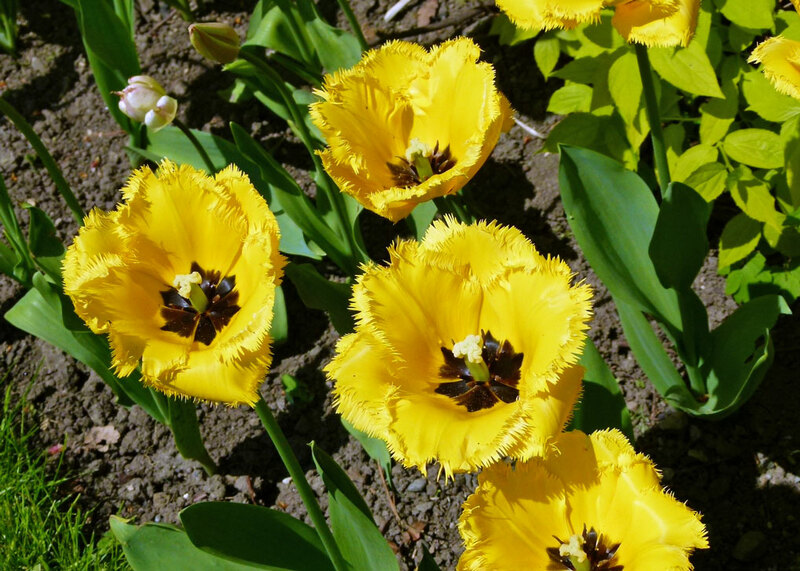 I’m with you on the tulips – and I’ve had more experience of removers than most people would consider fair! Such lovely vibrant colours – everything looks so warm. Well that was very pleasant. I suppose bringing cut tulips for display was the only logistically sensible way to do it. But I do find it difficult to cut anything from the garden. They last so much longer when growing. Assuming the molluscs or the bunnies don’t get to them of course..
Who names their kid Marmaduke?? (Actually I do know because I looked it up, but it’s certainly not a name you hear over here.) This does look like a lovely place to visit. I especially love the photo of the ‘even more tulips, had enough yet?’ And the table on the lawn. That reminds me, I’ve always wondered, in a land where it rains so much of the time, how is it that in so many British shows I see, there are tables, chairs, and tea set out on the lawn, quite a distance from the house. Who carries all that stuff in when it starts to rain? Yes, quite. I’m always forgetting about those forgettable servants! BTW if I’ve not responded to comments, it’s that I just noticed today that several commenters’ remarks were hidden by Blogger in some comment moderation thingy. You can be glad you made the switch. Hi to Mrs. B. Nearly 20 years ago I saw ads in the London Underground for a new novel called Tulip Fever (by Deborah Moggach). I thought tulips were beautifully structured flowers anyhow, but after reading Tulip Fever, I was besotted. When is the next Constable Burton Hall tulip festival?!! Next year – buy your ‘bus ticket soon! How nice of the Pals with Trowels to let you come along (and what a wonderful name!) What a beautiful place. I love the depth of history in such an old family home, and even more that they still get to live there and keep it to themselves. Gorgeous flowers as well! I keep meaning to make it to the tulip festivals in our neck of the woods…maybe next spring. I haven’t decided if I’m going to listen to the song yet- Mom used to sing snatches of it and I’m curious… 🙂 Thanks for another great tour! Oh, the Pals are a great little group – and very tolerant. I urge you to resist listening to the song; it is truly awful – and possibly life-changing. We cycled round the area about 12 years ago and were impressed by how many wonderful and interesting big houses there are there. We did call in at the wonderful Burton Agnes but didn’t make it to Constable Burton (which sounds just a bit like a character in an Agatha Christie detective novel) But I can see how worth going it is in tulip time. As for Tiny Tim, I never knew quite what to make of him. He had such saturnine looks, and such a little voice. Hi Mike – I had some irreverent thoughts re the magnificence of the tulips and the number of people passing through the land and the centuries – but perhaps had better keep them to myself – I’d hate to upset your readers. Oh, A Bit About Britain’s readers are a pretty robust crowd, Hilary – go for it! What a beautiful place. It looks like it would be a nice place to visit year-round if the weather is agreeable. Is the house made out of brick? It’s probably made of brick and then rendered with some kind of plaster. What can I say? On balance, I’m glad to have reminded you of that awful song! I’m definitely dazzled, Mike. Tulips are one of my favorites and I can’t get enough! I must have a kindred spirit in their gardener! Looks to be a very pleasant garden. We have Melton Constable in E Anglia which always conjures up an amusing image in my mind. 23 years sounds all wrong to me – that’s once when you leave home, once when the kids move out and once when you go into the old folks home – surely most people move more often than that. Yes, I thought 23 years was far too much – my average since leaving university is about every 3 years! Dammit! I couldn’t resist listening to it again. Lovely post, all the same 🙂 I am a person who never expects to move house, however 19 years in Newark is by far the longest in one place. What a delight, thank you Mike. Thanks for another delightful “bit about Yorkshire” And especially for clearing up the confusion with Burton Constable. Gardens at this time of year are a joy. I’m hoping to visit a couple of Irish ones this weekend myself. Hard to beat wandering round a pleasant garden, Frank. 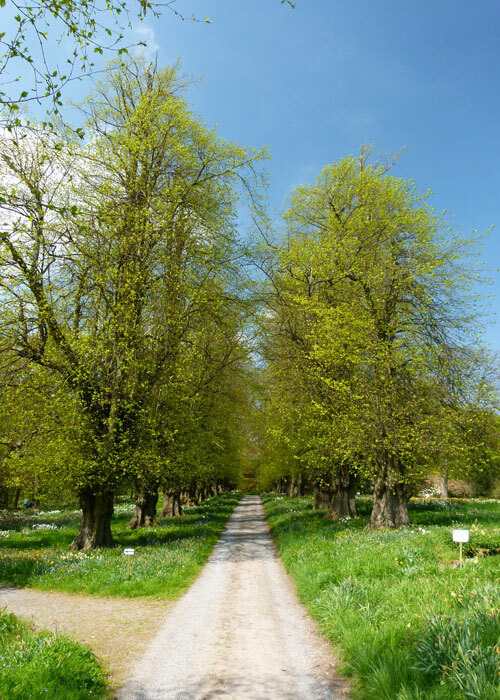 I’ll have to check opening times in the autumn, as I am sure the gardens are very beautiful that time of year, too, and we’re not going to be in Yorkshire until October this year. A shame about the weak tea and hard scone, but it’s the effort that counts, right? 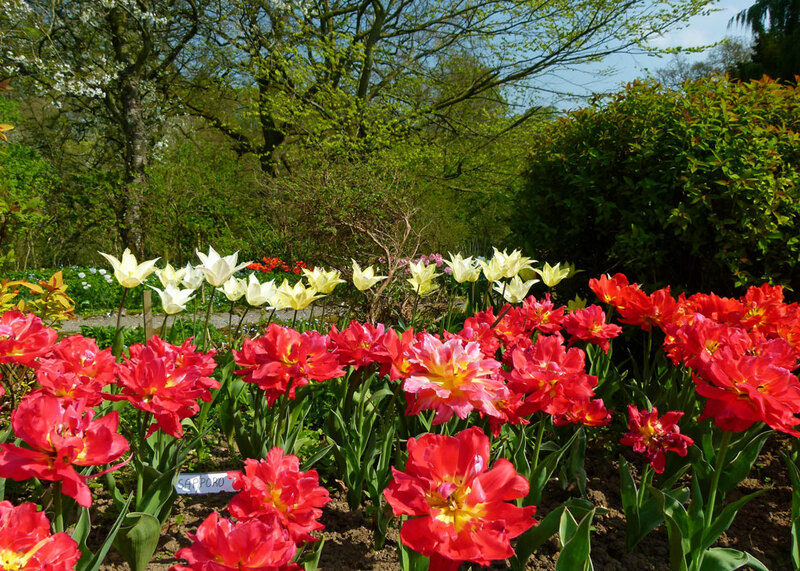 The gardens look like a delight to wander in, and what beautiful tulips! 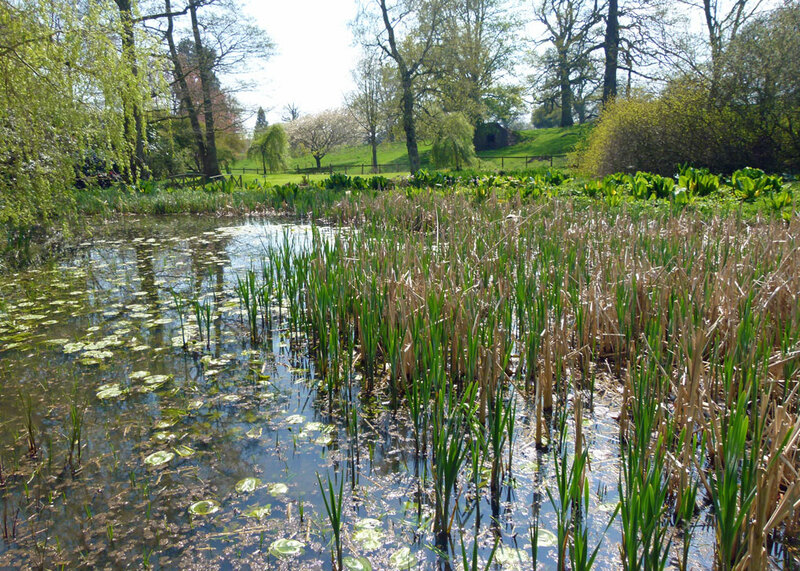 Lovely photo’s and fab information as always, English Gardens, can’t beat’em! I well remember Mr. Tim Mike, and happy to miss the reprise. As for the rest I always appreciate an unexpected but welcome bit of eye candy. Thanks for the post. Best to you & Mrs. Britain. Rick. Good call, Rick – but I couldn’t resist mentioning it! The tulips are awesome and the gardens and grounds very pretty. Having just visited Monet’s gardens in Giverny, I think these would be worth a visit. That final picture of the bird in a hand is priceless! How beautiful! Thank you. Enjoyed the tour.